The author of the bestselling Empire sequence continues his new trilogy: the epic story of the uprising of the Batavi in AD 69. The Rhine frontier has exploded into all-out war. The Batavi cohorts, so recently proud soldiers of Rome, have returned to their homeland, summoned by their new leader Kivilaz: they will be the spearhead of an audacious assault on Roman power., Humbled by the rebels in a battle they should have won, the Romans retreat to their northern stronghold, the Old Camp, to lick their wounds. The 5th and 15th Legions grimly prepare to defend an undermanned fortress against both the Batavi and thousands of barbarian warriors intoxicated by a charismatic priestess's vision of their victory. 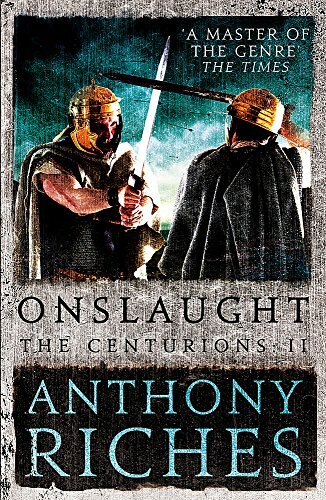 Four centurions who once fought in the same army find themselves on opposite sides of a vicious civil war., For the Batavi, the prize could be freedom from Roman rule. For the Romans, the choices are victory or the most humiliating defeat their empire has ever known. And for one Batavi soldier, the greatest prize is simply survival in a battle with a cornered, desperate enemy.